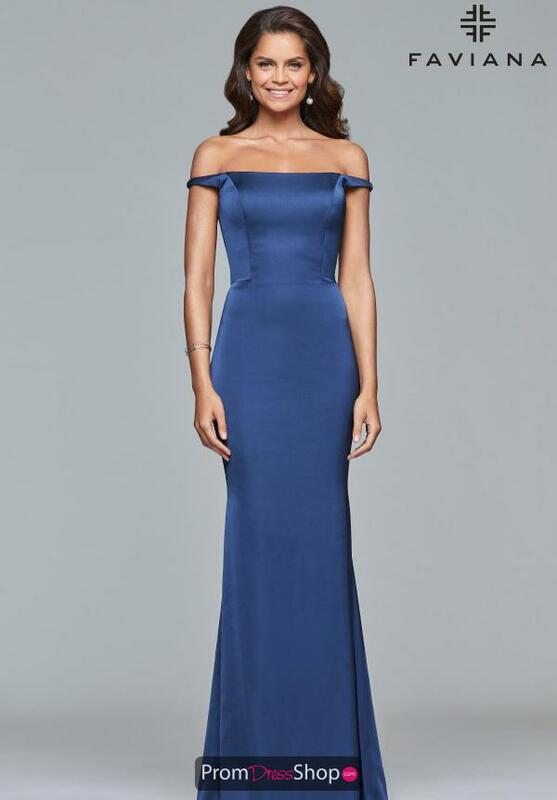 Feel like princess Diana in this exclusive Faviana dress at your black tie event. Style S10010 showcases an off the shoulder neckline featuring a fitted bodice highlighting an accentuated waistline. The fit and flare silhouette is made in a classic satin fabric and is also comfortable to move in. This dress is completed with a back cutout giving the impression of a two piece from the back.